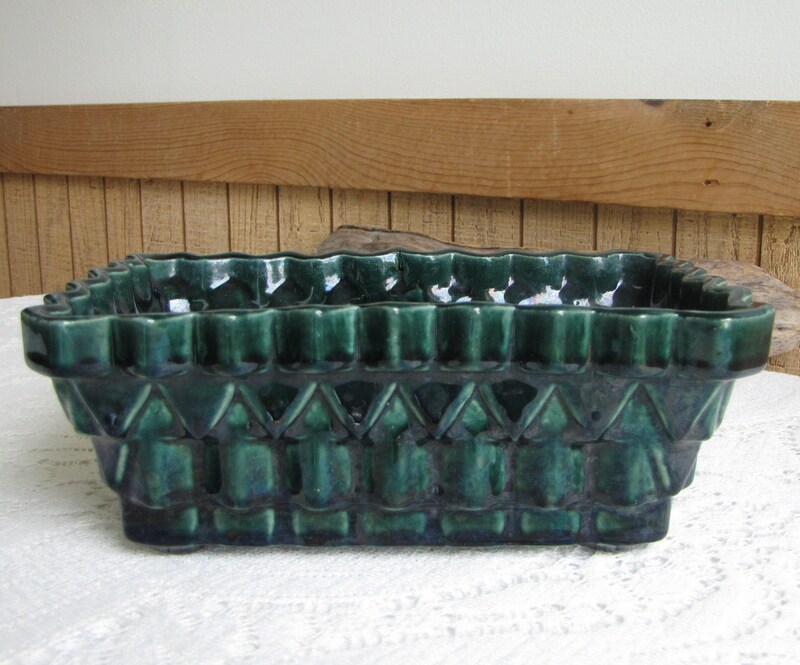 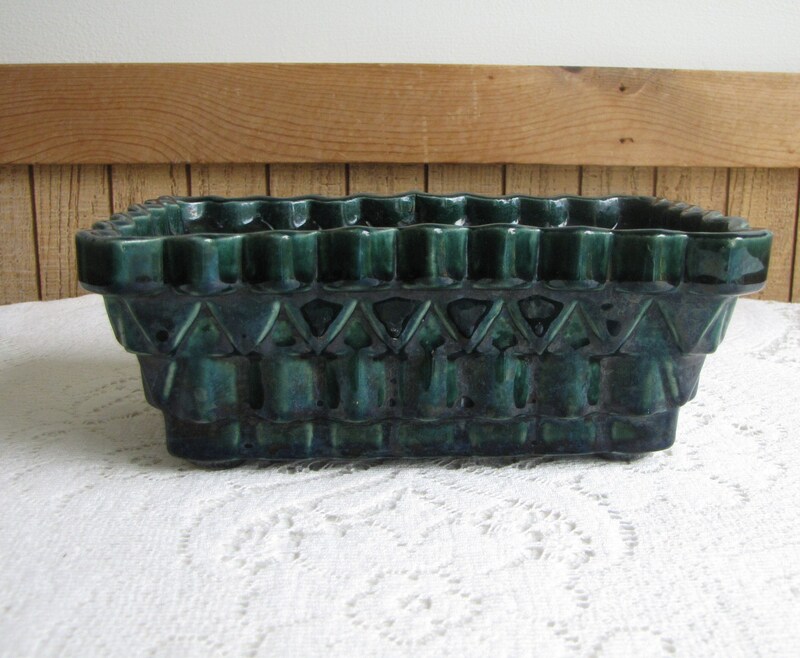 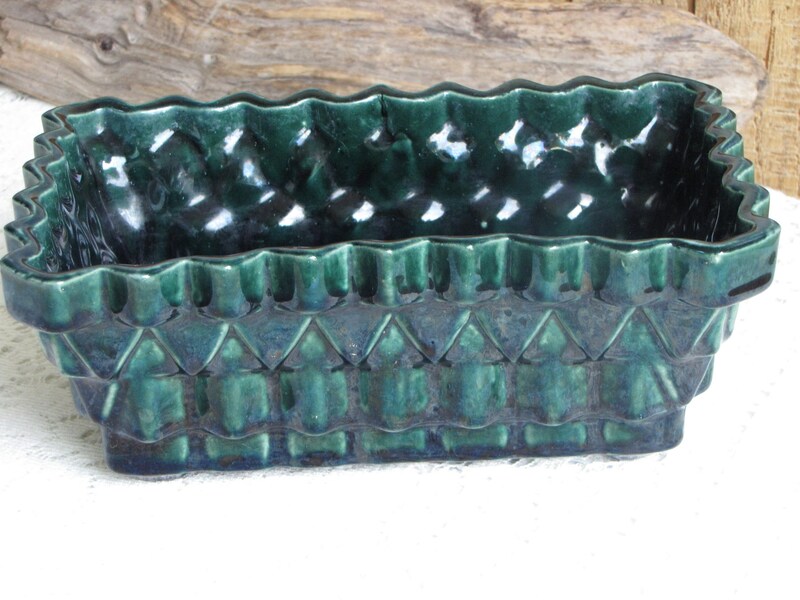 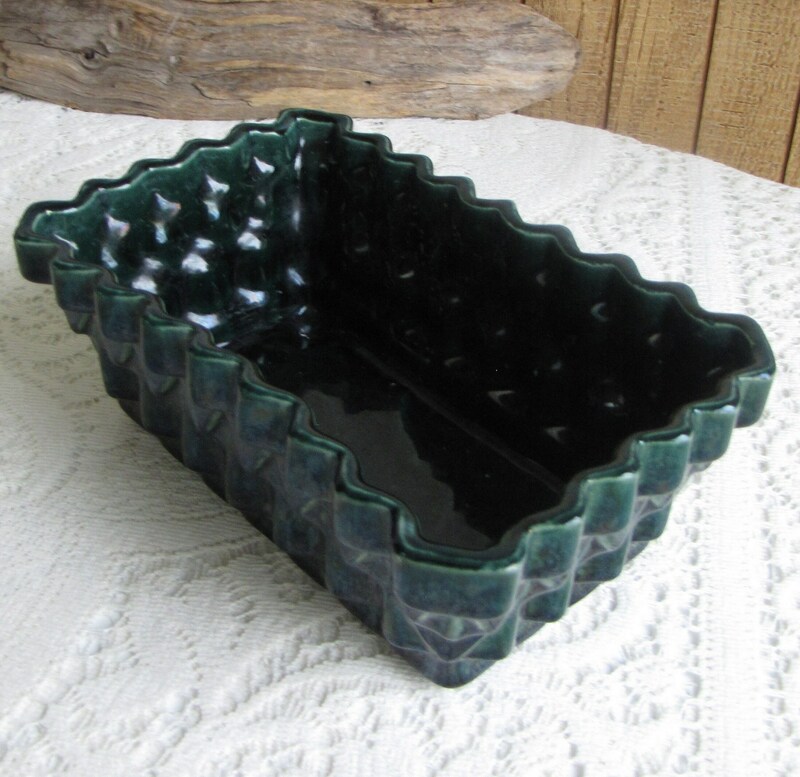 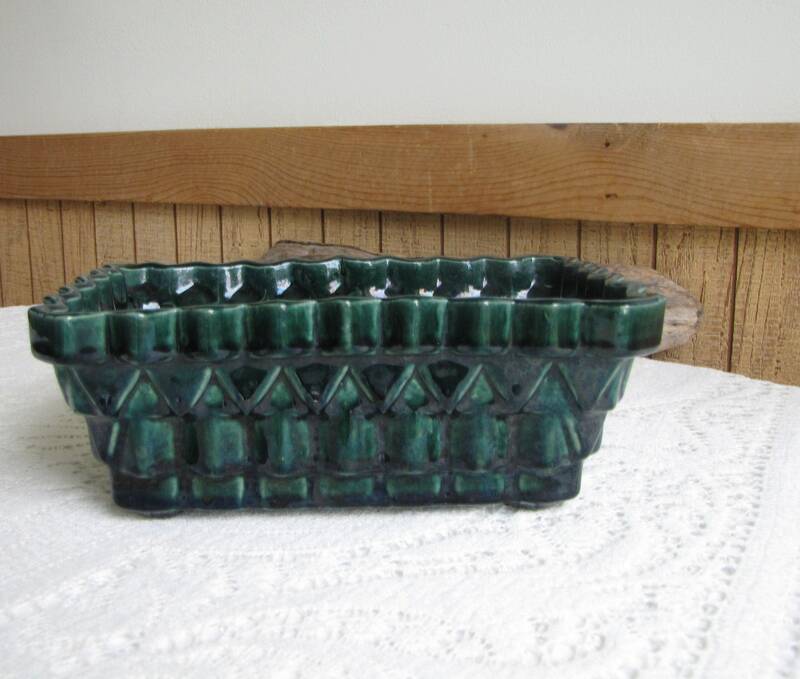 This a forest green planter in very good vintage condition with no chips, cracks, or crazing; the one side has white space where the glazed was missed. 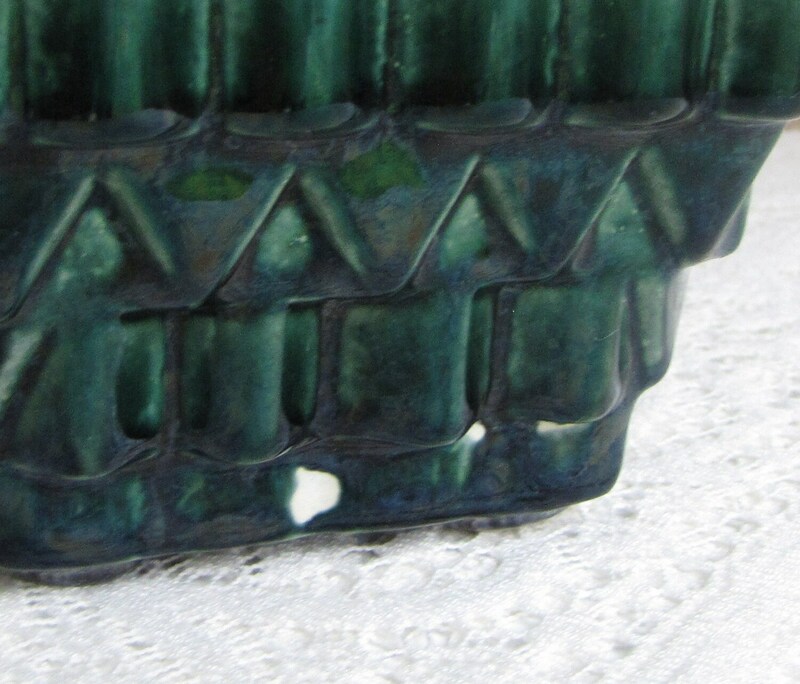 It is not a crack or chip. 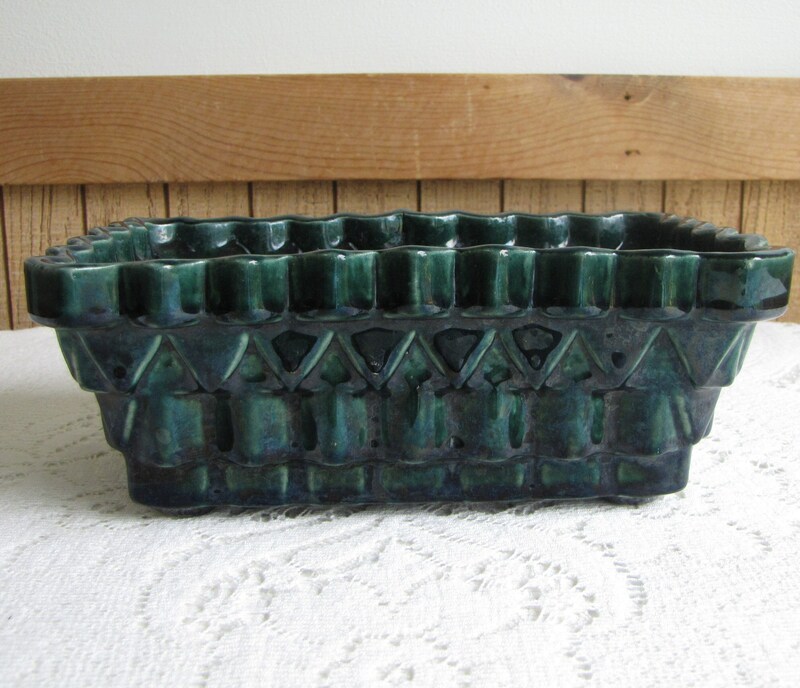 The planter measures 3.25 inches tall and is 8.5 x 5 inches. 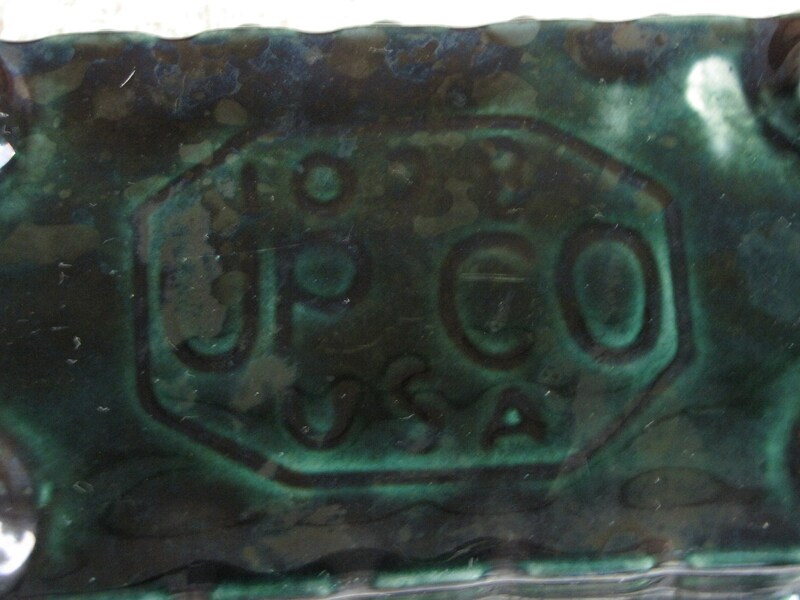 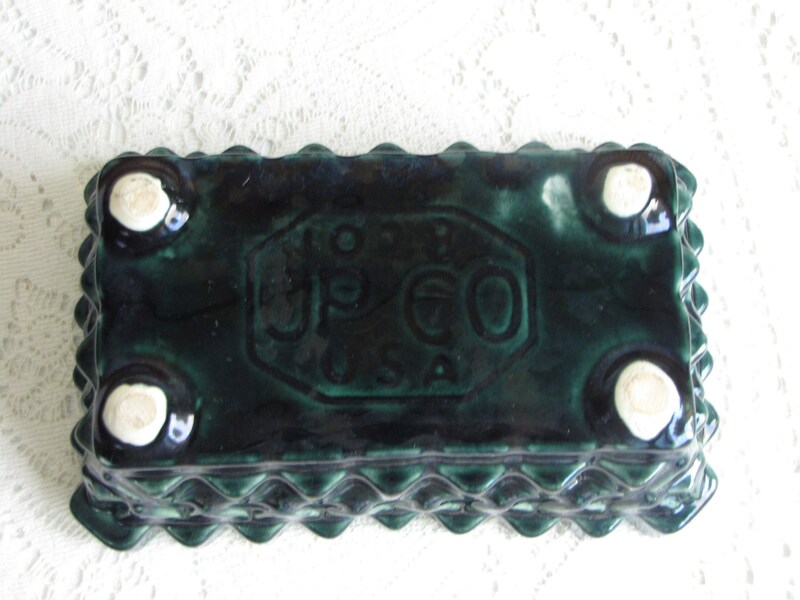 UPCO was located in Roseville, Ohio and founded by Fred Ungemach in 1937 until 1984. 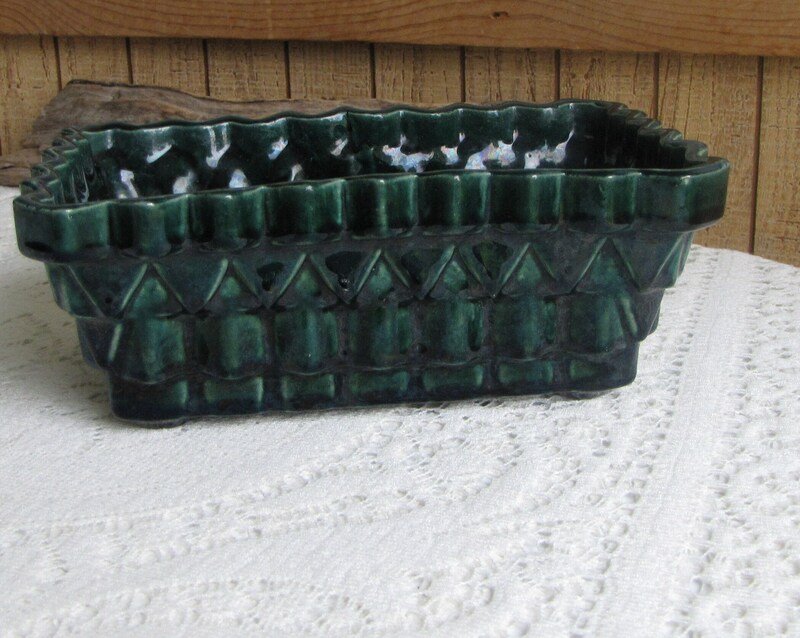 Originally it was called South Fork Pottery, in 1942 he changed the name to Ungemach Pottery Company.